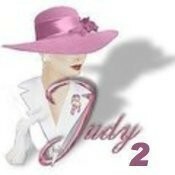 stationerybyjudy2 doesn't have any items in their booth! Had Judy make some address labels for mailing my Bonanza packages – they turned out incredible! GREAT JOB. I highly recommend and plan on returning soon to buy some business cards. Fantastic Seller! Judy does such a great job promoting and her buisness cards are perfect great deals, not only and A+ Seller but a true friend! Judy is a woman who goes above and beyond when it comes to customer service! Give her a try and I promise you wont be disappointed!! If you need something special created this is the place to be. Judy does great work and quickly! Thank you Judy. Not only is Judy a very talented woman, she is also quickly becoming one of my dearest friends! – Definitely take a moment to get to know THIS woman and her products, You WONT regret it and WILL be glad that you DID! !